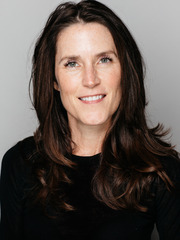 Whitney Williams is co-founder of Eastern Congo Initiative, serves as vice chair of the board, and together with co-founder Ben Affleck and ECI’s Congolese team guides its mission and vision. A lifelong advocate for social justice and a believer that anything is possible, Whitney is also Founder and CEO of williamsworks, an action-oriented consultancy created to amplify and accelerate social impact in the world. Whitney has worked with some of the world’s most influential philanthropists, corporations, and NGOs to tackle problems on both a global and local scale. With an extensive network, coupled with more than a decade of global development experience, Whitney specializes in building strategic advocacy and philanthropy solutions amidst political and economic complexities. Prior to forming williamsworks, Whitney was the executive responsible for establishing the first-ever external relations and government affairs function for the Casey Family Programs, one of the world’s largest operating foundations. As a vice president and member of the executive team at Casey, she led board development, executive recruitment and early design of the then $600 million Marguerite Casey Foundation. Whitney also served in the White House as First Lady Hillary Clinton’s trips director where she designed and managed more than 200 trips to over 40 countries. During her time at the White House, Whitney witnessed firsthand some of the world’s greatest challenges and opportunities, and developed a network of exceptional people working tirelessly to solve them. Dedication to public service runs in Whitney’s family. Dubbed the “first family of Montana politics,” her mother Carol Williams was the first woman Majority and Minority Leader of the Montana Senate and her father Pat served as Montana’s congressional representative for nine terms. Whitney has held various leadership roles in political campaigns across the United States, including finance co-chair in Washington State for Hillary Clinton’s 2008 Presidential campaign. She currently serves on the finance committee for Michelle Nunn’s campaign for U.S. Senate in Georgia. In addition to her work with williamsworks and Eastern Congo Initiative, Whitney is a member of the Clinton Global Initiative, TED and the Council on Foreign Relations.